Your roofing system is designed to last for decades. In fact, if you invest in a roof replacement, you may never have to get another one again in your lifetime. But even the best-made systems aren’t immune to wear, tear and storm damage. This is why it’s so important to regularly inspect your roof. Roof inspections should be scheduled at least once a year, especially after severe weather. If you haven’t had your roof inspected in a while, then contact a local roofing company that specializes in roof inspection, maintenance and replacement. A&A Services Home Improvement has over 35 years of experience in assisting homeowners with taking care of their roofing systems. Why Should You Invest in Roof Inspections? Roof replacement is an expensive project. The longer you can put it off, the better. Roof inspections can identify small issues before they have the chance to negatively affect your roof. 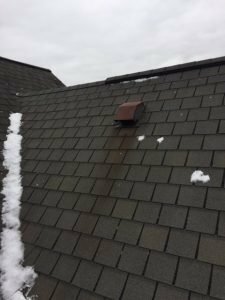 For example, catching a roof leak while it’s still small means that it can be repaired, and you will prevent that leak from damaging internal components as well. This will dramatically extend the lifespan of your roof and save you thousands of dollars in the long run. Plus, many insurance companies won’t pay for roof replacement if you’ve never invested in regular roof inspections by a qualified roofing company. Finally, roof inspections provide you with peace of mind knowing that you and your roof are safe from the elements. A&A Services Home Improvement is a local roofing company that has decades of experience in the industry. We have customer testimonials to prove that we can provide you with the service you expect. Our team will ensure that you are completely satisfied with our work before the final payment is due. Schedule a free estimate. Contact us today at (978) 741-0424, or you can fill out our online form.